Today’s post is going to be dedicated to dryer repair service. Before we get into depth about common dryer problems and what you can do about them as a homeowner, we would like to point out the variety of washer and dryer brands that we have the ability to repair and provide replacement parts on. We aren’t going to take up the entire post listing all of the name brands of dryer repair and parts that we service, so just take our word for it – we can probably handle it. 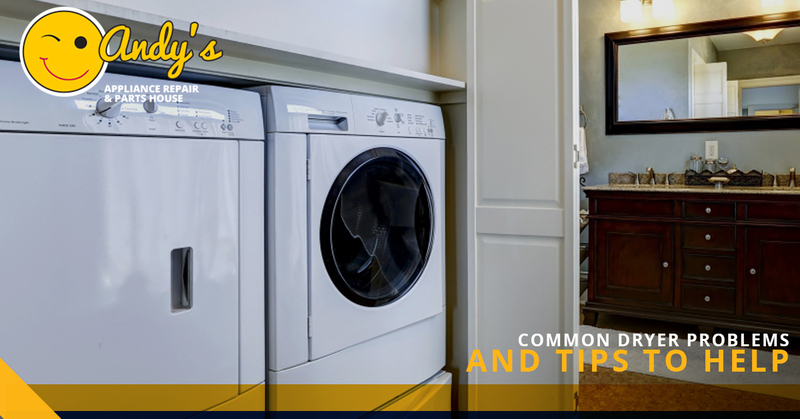 Now, let’s dive into how you can solve some dryer problems without having to give us a call at all! 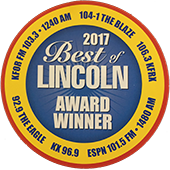 If you’ve read any of our previous posts about dishwasher repair and refrigerator repair service, you might have seen this one coming. The first thing you want to do is make sure that the unit is plugged in. It won’t run without electricity, believe it or not! You can use a multimeter on the outlet itself to get what the voltage looks like. But before we get ahead of ourselves, we might as well add our ceremonial (at this point) piece of advice to check the breakers to see if there has been a trip. If that is the case, you are in luck. All you have to do is flip them. If you find there is no heat coming out of the dryer but the drum still spins, the reality is that this might be a variety of issues contributing to this problem. The good news is that there is a likelihood that it is a minor issue. One of these minor issues might be that it’s a thermal fuse issue. You’ll have to unplug the cables from their terminals in order to be able to take the fuse out and examine it. If there is a break, you’ll need to replace it with the same kind of fuse. While you could go to a hardware store for a simple replacement like this, keep in mind we are happy to order your part (if we don’t have it on-hand) and replace it for you, no sweat! Other potential culprits for this issue include a bad thermostat, which requires a multimeter to test. It might also be the heating coils, and if it is we recommend you give us a call so we can professionally investigate the situation. That way, we can determine if a replacement is in order, if a repair is all that is needed, or, heaven forbid, a full-on replacement unit is required. As dryers age, they can get louder and louder. This makes sense, as there are so many different parts that make up the machine, and with many people still using dryers from the 80s or even earlier, it stands to reason that a unit which has been in operation for that wrong isn’t going to be without its share of clunkiness. As is the case with many dryer issues, it might be any one of a range of issues that is causing the problem. Below is a list of a few of the most common problems. Drum Support Roller – Many, but not all, dryers use drum support rollers to keep the drum secured while it is spinning. Over time, the drum support roller might wear down enough to cause a squeaking or consistent thumping noise. Determining if your drum support roller needs replacement isn’t too tough, but replacing it with the proper amount of oil can be for some. If in doubt, give us a call, as we are happy to help diagnose and solve the issue. The Motor – A motor turns the drum and the blower. If you hear a rattling, that could mean it’s a loose pulley. If it’s a squeak or a squeal of some kind, it could be that the bearing is the problem, and might need to be replaced. If it’s humming, it might be a bad switch. Describing how to exactly replace these elements without a visual aid is a tall task, and beyond the reach of this post. 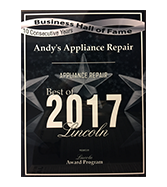 If you are confident that the motor is the issue, we’ve got you covered with excellent washer and dryer repair service at Andy’s Appliance Repair. Blower Wheel – If it’s the blower wheel, you might hear a roaring of sorts, the kind that can cause kids to scatter when they hear that kind of noise coming from the basement! Just so everyone knows, a blower wheel takes the air from the heating chamber and blows it into the drum, upon sending it out the exhaust vent. You can get into the blower wheel by simply opening the cabinet, and looking for a bit of plastic that should be close to the blower wheel, attached to the motor shaft. Check to see if there are any objects inhibiting its function. If the light is green there, check to see if there is a place where the wheel is connected to the motor shaft. If it is worn down, it might have become loose. If that is the case you will likely need to replace it, or call us to handle it for you! We wouldn’t recommend putting your clothes in again to do another load in order to make sure this issue wasn’t an isolated incident. It might be because the drum seals, rollers, or the glides are causing this to happen. Regardless, we recommend giving the dryer repair specialists a call (that’s us!). Most people find it surprising to hear that there are around 15,000 home fires every year which are caused by dryers. Usually it can be traced back to a buildup of lint. Simply put, make sure you clean out the dryer’s filter after each use, and to get your dryer vent cleaned by professionals at least once per year. Better safe than sorry. In addition to being dryer repair service experts, we also service a range of kitchen appliances. 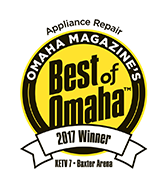 From built in coffee maker repair to high end appliances, we have a certified staff of technicians who have over 100 years of experience between them. From top to bottom in our family owned and operated company, we have a passion for delivering quality work at affordable prices. When we come to your house, we make a point to be as punctual and respectful as possible. 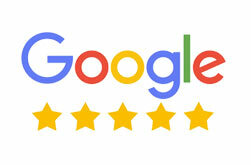 These factors contribute to our five star rating on Google and consistently satisfied customers. If you are ready to get your washer, dryer, or other domestic appliance up and running quickly, reach out to us today to schedule an appointment.